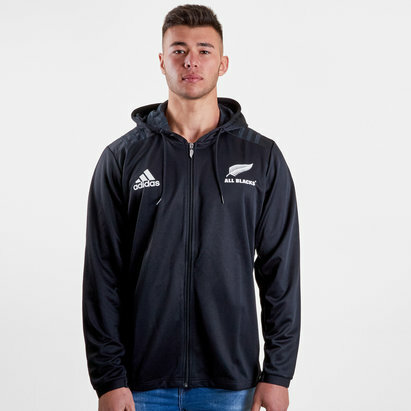 Show your support for one of the biggest teams in the history of the sport when you proudly pull on the adidas New Zealand All Blacks 2018 Supporters Lux Hooded Rugby Sweat. Forming part of the All Blacks supporters kit range for 2017/18, this hoodie has been designed with Climalite technology which provides warmth without sacrificing breathability and wicks moisture away from the wearer's skin. Made from 100% polyester, two side zip pockets are perfect for storing any essential items. 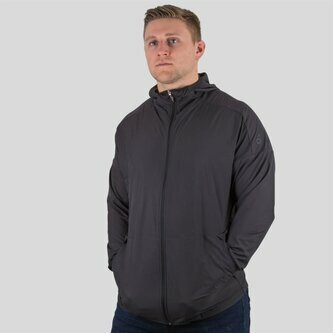 The full-length zip allows you to wear this hoodie in a number of ways and elasticated cuffs and bottom hem help retain heat.